Thanks to the hardworking folks at Mark Harrell Horse Shows, we now have complete results from the 2013 GQHA Classic that concluded over the weekend in Perry, Georgia. Judges for the show were John Briggs, Chris Thompson, Chris Jones, Brad Kearns, Elizabeth Baker, and Debbie Cuvelier. 2013 marked the first year that the Western Dressage Association of America hosted a World Championship Show. Two days of competition in Tulsa, OK on November 2-3 welcomed horses and riders from 10 states and 2 Canadian provinces. 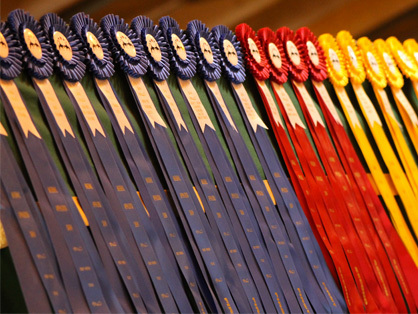 More than 12 breeds were represented in four different levels of tests for youth, amateur and open riders.